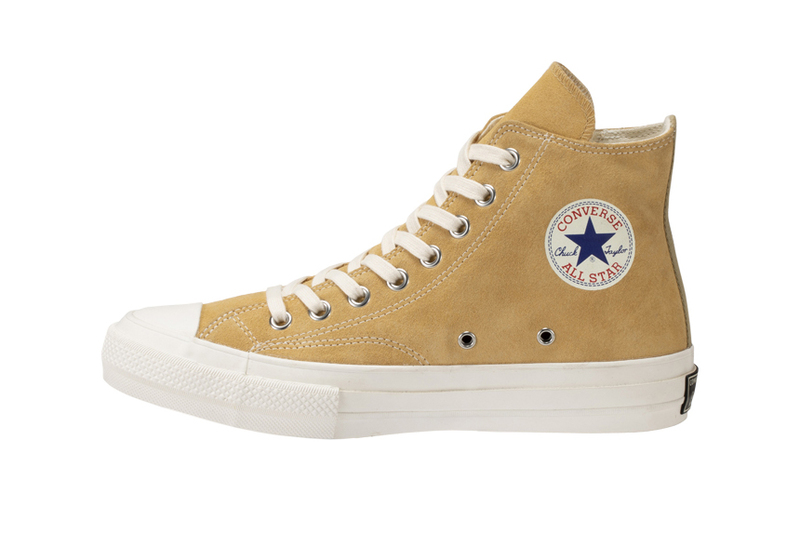 Converse Japan‘s fashion-focused Addict line seeks the design expertise of style icon NIGO for a collaborative Chuck Taylor All Star Zip Hi in beige suede. Here, the classic sneaker is rebuilt with a form follows function approach, adding a zipper entry, a comfortable Poron insole, a thermo-insulated Outlast lining, and a reinforced Vibram sole. NIGO then applies his affinity for Americana sportswear by adding CTAS details from the ’60s, including a “Player’s Name” tag behind the right tongue, a retro heel label, and wide cotton laces. Let’s not forget this drop also stars a buttery beige suede upper that’ll surely get better with wear. The NIGO x Converse Addict Chuck Taylor All Star Zip Hi in beige suede will hit select Converse outlets in Japan on April 10 for ¥30,000 JPY (approximately $270 USD). In related news, check out TAKAHIROMIYASHITA TheSoloist.’s Converse ERX-260. While album sales and airplay decline. Reusing fabric from vintage military tents. Sadly, the double midsole isn’t included.